This article is from the January 2012 issue of Cabling Installation & Maintenance Magazine. This is republished with permission from comCables, a premier manufacturer of end-to-end structured cabling solutions. This image did not appear with the original article. The following article is a great example of one of our dedicated manufacturers’ understanding of our marketplace. After you read the article, you will understand the complexities of patch cord knockoffs and cheaply-made products in today’s influx of mismarketed, subpar craftsmanship. Much has been written about the availability and abundance of substandard patch cords. Recently the Communications Cable and Connectivity Association (CCCA; www.cccassoc.org) published findings that indicated extremely high failure rates in patch cords from sources other than the major national brands. Substandard patch cords not only fail to perform; they can even damage physical hardware. Unfortunately, patch cords do not receive the attention they need as part of the structured cabling infrastructure. They have been largely left alone in our quest for better-performing cabling systems. In this article we are going to examine why the standards have been ignored on this critical product, along with providing information for installers, consultants, information technology (IT) managers and end users on how to identify good or bad patch cords. You will also find out how to tell if a patch cord meets appropriate codes and standards and how to test them. We will help explain what you would see if you dissected a bad patch cord and how to avoid the possible pitfalls when selecting a vendor for your products. An old Italian proverb says, “All roads lead to Rome.” In the structured cabling world, all patch cords connect to a network. The foundation of the network is the permanent link, but the patch cord is just as important to the system. Testing of this permanent link has had the priority for quite some time because this is the part that is typically outsourced to independent contractors. The focus on the permanent link has enabled patch cords to be placed on the proverbial back burner. This neglect left patch cords off requests-for-proposal (RFPs), out of technology consultants’ offices and out of the media spotlight. It does not matter if you are building the next Autobahn or a residential street; what you build will only be as good as its worst section or bottleneck. Depending on its components and construction, the patch cord can mean the difference between a newly paved highway versus a pothole-ridden, tire-popping broken road. How did the issue of substandard products become so widespread? The reason can be summed up in one word: price. The first indicator of a substandard patch cord is price. If you are paying less than $4 for a 3-foot Category 6 patch cord, then odds are it is substandard. Quality, as well as code- and standard-compliance, has a price tag. A high-priced patch cord does not mean it is standards-based and will pass the performance requirements; however, price is the first indicator to help guide your decision. The patch-cord business in the United States is somewhat of an irony. Companies will spend thousands of dollars per workstation for their network, and then buy patch cords over the Internet for only a buck or two. They buy the least-expensive cable to form the final connection for their expensive electronics and warranted cabling systems. Instead of trying to save the last cent on a patch cord, ask yourselves what the costs are for buying an unverified and substandard product. Any money spent for a bad patch cord is money wasted. Saving a dollar or two on a patch cord that will cause the network to underperform and lead to productivity declines does not make sense. Last we checked, increases in bit error rates, network intermittence and IT-department headaches are not a cost savings. This compliant cord has snag-free strain relief and a load bar. Typically patch cords are not supplied by the structured cabling installer, nor are they found on the request-for-quote (RFQ). Patch cords are usually supplied by the end-user’s IT department after the installation is complete. Projects are not awarded for their patch-cord prowess; typically they are won on price and performance. It is ironic how a company will build a multi-million dollar facility with new networking hardware, then the IT department will box up their old patch cords and reinstall them. If the cords are not reused, they are sourced off the Internet for the cheapest ones to be found, or worse, the cords are home-made. The IT manager’s budget is spent on other networking hardware. Often the research for patch cords ends up on the Internet, and the lowest price wins. You cannot blame these users. The bag and cable say “Cat 6.” Therefore, it must be Category 6, right? Don’t believe everything you read. Let’s assume you bought some patch cords off the Internet. How do you tell if it is good or bad? When evaluating a patch cord, workmanship (or lack thereof) is one of the easiest qualities to recognize. For any veteran of the industry, your senses are one of your greatest tools. Do your patch cords pass the smell test, literally? It sounds funny, but there are patch cords out there that have a terrible odor. This odor can be caused by a number of things, but if you smell it, it likely is a plasticizer issue with the jacketing. Check to see if it feels oily or too stiff. These are both indicators that you could have a substandard product. Look at the termination. The cables should be neatly dressed and separated, not sloppy or messy. The latch should be set on the jacketing properly, not broken or missing. The modular plug should be intact, not cracked. The jacketing should be stripped back correctly, not too far. The plug should pass the separation and pull-strength test. Contacts that contain the correct amount of gold content actually appear duller than substandard contacts, which usually appear to be shiny. Many of the above statements do require field experience and are somewhat subjective, but they do provide a basis for identifying a bad patch cord, which is not an easy task. To comprehensively evaluate a patch cord, we must dive deeper into more factual information and test procedures, which require some expensive equipment. Unless you have access to an electron microscope, chemical-analysis equipment and network analyzers, you will not be able to perform the technical breakdown of the component parts to see if they are built to code and standards. If you dissected a bad patch cord you would see several red flags that would help you eliminate them from your selection. If you could perform these kinds of tests with your naked eye, you would see past the packaging and truly see the difference between standard-based and substandard patch cords. Let’s start with each individual component of the patch cord. The modular plug material and body is first on the list. The RJ-45 modular plug is a highly engineered connector. The housing is molded from a fire-resistant plastic that meets the UL 94-V.0 standard. A simple test you can conduct is to put a lighter to the clip on the connector. If it catches fire and does not self-extinguish, you have found a substandard connector that violates code requirements. The cord could contain V.2 material, which is less expensive; it will support a flame and spread fire. One of the common violations with substandard modular plugs is the plugs’ dimensions. The error could be that it is too wide or tall or the exact opposite—it is too small. Some plugs actually will get stuck in the female RJ-45; this is not good when the female RJ-45 is in your new $5,000 switch. On the opposite end of the specification, it is not uncommon to see patch cords that will not click into a jack, and fall out of patch panels. It is expensive to build the dies used to manufacture RJ-45 plugs precisely to the exacting tolerances called out in specifications. The substandard manufacturers are cutting corners to try to provide the cheapest product possible. The pins in the modular RJ-45 are the next main components of the plug, and they likely deserve the most attention. The pins should be made from phosphor bronze, a hardened alloy that allows the plug to be rated a minimum life cycle of 750 insertions. Phosphor bronze is used for its toughness, tight grain, low friction and electrical conductivity in addition to its resistance to corrosion. Other conductive metals being used are too soft and cannot withstand the insertion cycles that are required. During the manufacturing process the phosphor bronze contacts are de-burred, smoothed and polished. This surface prep is a critical part of the process and is overlooked by inferior factories. A substandard plug is often polished with a wire brush, which ultimately can lead to a condition termed “porosity,” which refers to the condition of the pins when plating either does not adhere properly or erodes and causes corrosion. In addition to porosity, this incorrect polishing creates a jagged surface on the contacts. 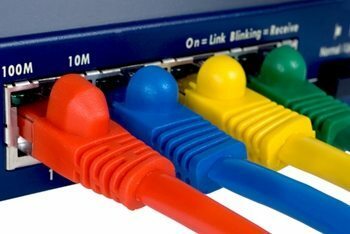 When plugged into the RJ-45 jack, patch panel, switch or network interface card, the improper pins abrade the comb like a file. That filing process will lead to oxidation, corrosion and intermittent failures. When was the last time rust was a requirement in your network? A properly prepped pin is the foundation for plating and is the single point of connectivity in the modular plug. The pins are treated in an electromechanical polish process and plated with a minimum of 50-μ (50 millionths of an inch) of nickel. This minimum should be closer to 100μ to pass all the porosity tests required by the standard. This is critical, because the next step is to gold-plate these contacts. The nickel is used to seal the surface of the phosphor-bronze pin and form a surface so the gold can properly bond. If the nickel is not correct, the gold will rub and flake off in addition to being absorbed into the base material. The last step in manufacturing the contact is to apply a minimum of 50 μ of 24-karat gold (23.999 pure). Today gold costs approximately $1,700 per troy ounce. Seventy percent of the cost of a Category 5e or Category 6 modular plug is in the gold. The number-one area in which substandard manufacturers are skimping is the gold plating. Substandard plugs can have a multitude of gold-related issues, one being a lower grade of gold, such as 14-k gold. Other substandard pins do not have enough gold plating or use a material other than gold. The plating procedure is extremely complex and results will vary based on the plating speed and the amount of power sent to the plating electrodes. It is essential that the plating bath is dedicated to plating 23.999 pure gold. If it is not a dedicated bath—meaning they plate variable gold purities of 14 to 23k—it will negatively affect the result. Proper gold plating is critical to achieving the electrical performance for jacks and modular plugs as defined in the standards. Any “modifications” will result in a plug-and-jack that will not meet the minimum performance standards outlined in TIA-568-C.2. There is no substitute for gold. Once the plug body is made, the pins are matted to the body and the completed plug is ready for assembly. The pin depth is another major issue. Pin depth can be divided into two segments: manufacturing and assembly. The most common issue of the two is that during manufacturing, either the modular plug body and/or the pins are out of spec. The result is that the finished product either has pins that are too high and therefore bend and damage the comb on the jack, or it has pins that are too low and do not make contact with the comb. Bulk patch cable is easier to inspect for manufactured and verified standards. There are two different types of marks, issued by either Intertek (ETL) or UL. The two types are safety and performance. Usually when an item has passed the safety standard it is said to be “safety listed.” When an item has passed a standards-based performance test it is called “verified.” With patch cords, you are not just dealing with components that need to be both listed and verified; the entire assembly should be listed and verified. To determine if your product has these markings, inspect the cable legend to see if there is a UL “E” number printed on the jacket. 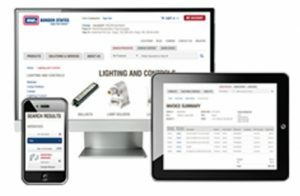 If there is, go to UL’s Online Certification Directory and run the E number to verify the manufacturer’s authorization and standing. If you cannot find the E number in the Online Certification Directory, odds are you have found a fraudulent use of UL’s mark. Report your findings to UL for action. ETL has a similar guide on its website. If you find the ETL mark printed on the jacket, check to see if the manufacturer’s name and control number are also on the jacket. That name is required on the ETL website, so you can check the manufacturer’s authorization. If the manufacturer’s name is not printed on the jacket and there is no control number, you must contact ETL’s follow-up services to verify the mark’s validity. In any case, if you are unable to verify the product on ETL’s or UL’s website, assume the product is substandard or fraudulent. Let us assume all component parts are made to spec. A finished product still must be built properly. All too often good products will fail performance testing due to improper assembly. There are several reasons a patch cord with all the proper components will not pass a test. It can be as simple as too much untwisting of pairs, not seating the cable to the very end of the connector, or using the improper crimp tool. Often, patch cords that use molded boots will have a higher failure rate than assembled patch cords. The injection-molding process can create extreme temperatures and up to 1,000 foot-pounds of pressure that negatively affects performance. Technicians and users in the field often see boots that pinch down or crush the cable using this construction method. It is not a guarantee that molded patch cords will not pass a performance test, but there is some probability that it will fail. Strain relief is also part of the finished assembly. If your patch cord does not have strain relief, there is a high likelihood that it was not the only thing forgotten when your patch cord was made. While having good components makes a huge difference, the final assembly is still a critical step in producing a patch cord that will pass standards-based performance testing. Now that some basic parameters have been established, you can see if a patch cable has a shot at complying with the codes and performance standards. For those of you who were around when Category 5 first came to market, you might recall there was a period of about five years when there was no way to verify the performance of the permanent link (then called the basic link). Once Telecommunications Systems Bulletin TSB-67 was issued and compliant test equipment came to market, many manufacturers’ claims were put to the test. The results were quite revealing. We are in a similar period of time in that one major test manufacturer, Fluke Networks, recently came out with patch cord test adapters for its DTX 1800 Cable Analyzer. Now you have the means to certify all commonly encountered patch cords in the field. The only way to really know that a patch cord has been manufactured to standards is to test it. Or, you can choose to buy patch cords exclusively from manufacturers that performance test 100 percent of their products using the correct test method before shipment is made. One popular myth is that you can test a patch cord with the channel adapters that come with the DTX 1800. You even may have seen online patch-cord providers claiming that they channel-test their product. A channel test is a lenient test for patch cords because it includes significant leeway for all component parts of the end-to-end system. For example, we performed a channel test in a 7-foot, Category 6 patch cord that was supplied to us by a customer. It passed with 18.7 dB of margin for near-end crosstalk. We then tested the same patch cord with the DTX-PC6S patch cord adapters for the DTX-1800. This time the cord failed, performing 6.7-dB worse than standards allow for near-end crosstalk. That is a swing of 25.4 dB between the two tests. This test demonstrates what we already know: channel adapters and limits are not intended to be used to verify patch-cord performance. The presence of that unverified cord could very well, and eventually probably will, lead to bit-error rate issues, corrosion and other maladies. Who am I buying it from? Is it a molded or assembled connector? What is the fitment like; how easily does it plug and unplug? Does it have an E number or a manufacturer’s name for verification? Do the pins look good? Does the manufacturer perform 100-percent patch-cord testing, not just channel testing? If the patch cord you buy meets all these requirements, then you have bought a genuine codes- and standards-compliant cord. Armed with the information in this article, you will bring added value to your customers and avoid finger-pointing and warranty ticket dilemmas. Pin number two (second from the right) is out of spec. Users would be best served to throw this cord out rather than installing it into a network. Andy Work is Vice President and General Manager at comCables, a Denver-based industry-leading manufacturer of structured cabling solutions. Work has been with the company for over 9 years and brings his experience in installation, distribution and product development. Andy is active in the industry, participating with BICSI, UL, ETL and CCCA board member. Tom McAllister is an RITP and Director of Structured Cabling at comCables, a Denver-based, industry-leading provider of structured cabling solutions in IP Convergence environments. McAllistrer has been with the company for over 4 years and brings over 30 years of industry experience in electronic wire and cable. participating as a BICSI trainer, and CCCA member.